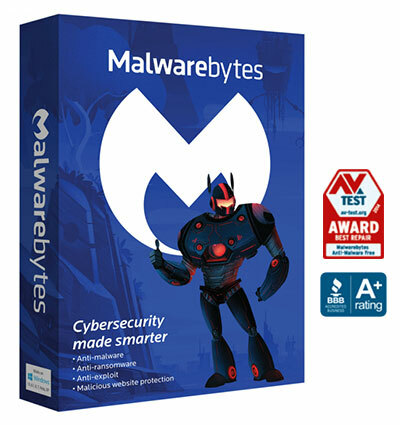 Malwarebytes Premium is a benchmark in the computer security against modern threats. It provides web protection, exploit protection, malware protection, and ransomware protection. Malwarebytes Premium doesn’t rely on one medium to catch the malware. It uses a different approach to detect and block various internet threats. Malwarebytes blocks more than 4 million threats every day worldwide. The traditional antivirus programs use the signature to identify a virus. Nowadays thousands of new malware is created each day, and signature-based detection isn’t enough in this scenario. Malwarebytes also use the signature to detect a threat, but it also analyzes the behavior of programs and blocks them if their action is like a malware. Let’s take a look at the features of Malwarebytes Premium. Malwarebytes uses different proprietary technologies to detect and block attacks before they start harming your computer. Web Protection – provides security from various malicious websites. It blocks scamming sites, harmful ad networks, and bad neighborhood. Application Hardening – reduce the vulnerability exploit surface of the applications and disable advanced attack attempts by detecting fingerprint. Exploit Mitigation – catches remotely executed code on the endpoint and blocks the attempt to abuse the vulnerability. Application Behavior Protection – stops applications from being leveraged to infect the endpoint. It prevents hackers from taking advantage of the application vulnerability. Anomaly Detection – uses machine learning languages to detect viruses and malware. Payload Analysis – uses heuristic and behavioral rules to identify the whole families of known malware. Behaviour Monitoring – analyze the behavioral of software to detect and block the ransomware. The dashboard of Malwarebytes Premium displays the status of infection on your computer. You can click on Scan Now to start the scan and can also enable/disable various real-time components like Web Protection, Exploit Protection, Malware Protection, and Ransomware Protection. It also shows the statistics of the scan on the homepage. On the Scan tab, it lists information about current or past scans, and it also has the Scan Schedule which you can use to schedule a scan. Scheduling can be done on hourly, daily, weekly, monthly, once, and at reboot time. The Quarantine tab of Malwarebytes lists all the previous detected computer threats. The quarantined threats are not able to harm your computer but if you want you can delete them permanently from your computer. You can also restore them if you know the program is safe to use. The Reports tab displays the list of all the reports of previous scans and real-time detection. Select a particular report and click on the View Report button to see the complete report. You can also delete previous reports. The Settings tab lists settings of different category like Application, Protection, Scan Schedule, Exclusions, Account Details, and About. You can use Application Settings to customize various settings of Malwarebytes Premium. Protection settings can be used to alter settings of Real-Time Protection, Scan Options, Updates, Startup Options, and Automatic Quarantine. Scan Schedule is used to schedule a scan. You can add exclusion of file or folder, website, applications, and previously detected exploits. Account details show the status of your Malwarebytes Premium account, while the About displays information on the current version of the program, component, and update. You can also access some resources to improve your knowledge on the cyber threats and can access support knowledgebases from the About section.